Event Description The exhibition will run from December 8th 2018 through January 5th, 2019. 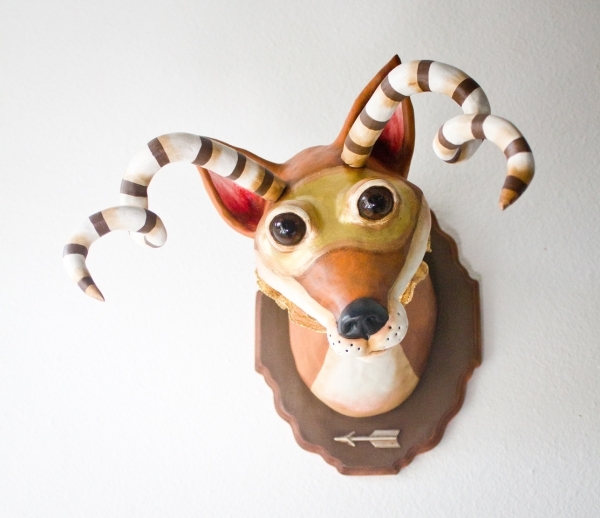 The opening reception with the artist, live music, open studios, Stone Beer, and BK Cellars wine will be on Saturday December 8th, from 6pm -10pm. Event Description The public is invited to an artists’ reception on Saturday, Dec. 8, at the Off Track Gallery featuring the photography of John Tsumas and jewelry by Dolores Renner. In addition there will be an award ceremony for the annual Small Image Show winners. Dolores is a local, self-taught bead artist. She started beading eight years ago while taking time off work to care for her mother full time. Dolores specializes in various bead weaving techniques, using Swarovski crystal and glass pearls. 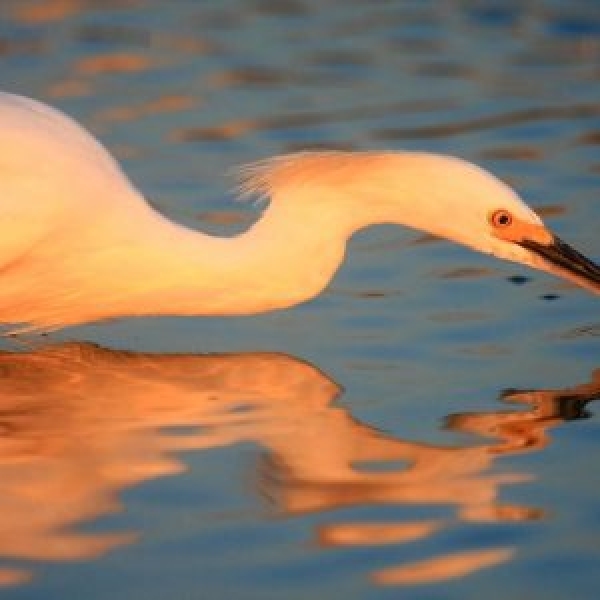 John F. Tsumas is a fine art professional nature photographer specializing in ocean art and nature images from the California and Florida coastlines. Black and White Magazine selected John as a 2010 Portfoliio Merit Award Winner for his avian coast artwork and published three of his images, ”Black-Necked Stilt Mirror,” ”Royal Tern Blowing Bubbles” and “Black-Necked Stilt Waterdrops” received worldwide recognition. John has recently published his first book “Avian Light” in 2014. Inspired by the amazing form of birds and their unique behavior Tsumas has set out to capture them in beautiful light. Refreshments will be served at the reception. All artwork in the Gallery will be 10% OFF the entire day from 10am to closing. This event is free and open to the public. 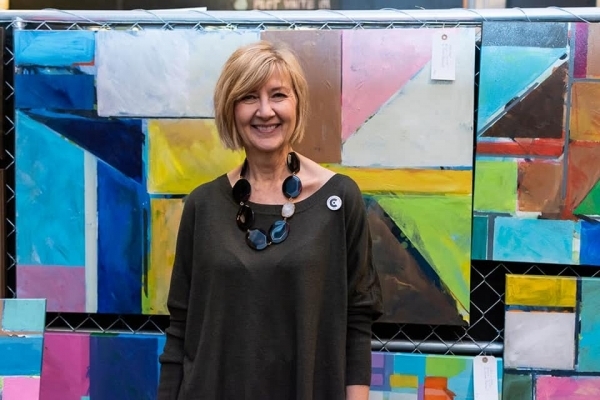 The Off Track Gallery is owned and operated by the San Dieguito Art Guild, a non-profit, 501(c)3 organization made up of over 200 talented local artists. Fee This event is free to the public. 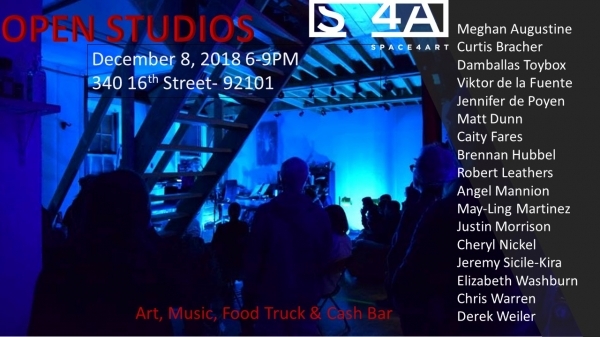 Event Description We are excited to host an OPEN STUDIOS event this Saturday, December 8th 6-9PM at Space 4 Art. There will be art, music, a food truck, and a cash bar. All proceeds from the bar will go to support Space 4 Art's Permanent Home project. Please join us Saturday at 340 16th Street, meet some of our amazing artists, and join us in our quest to #MakeSpace4Art!